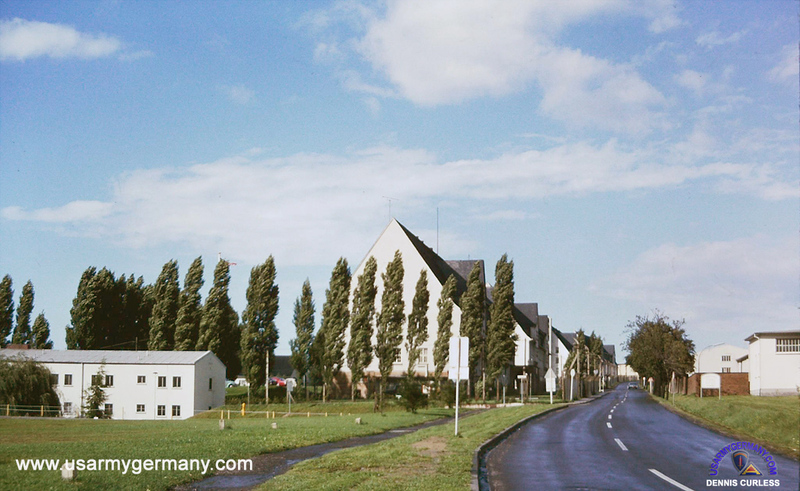 The southern end of Kreuzberg Kaserne, 1969. First tall building (center) is Bldg #4000. 2-story building on the far left is the BOQ.